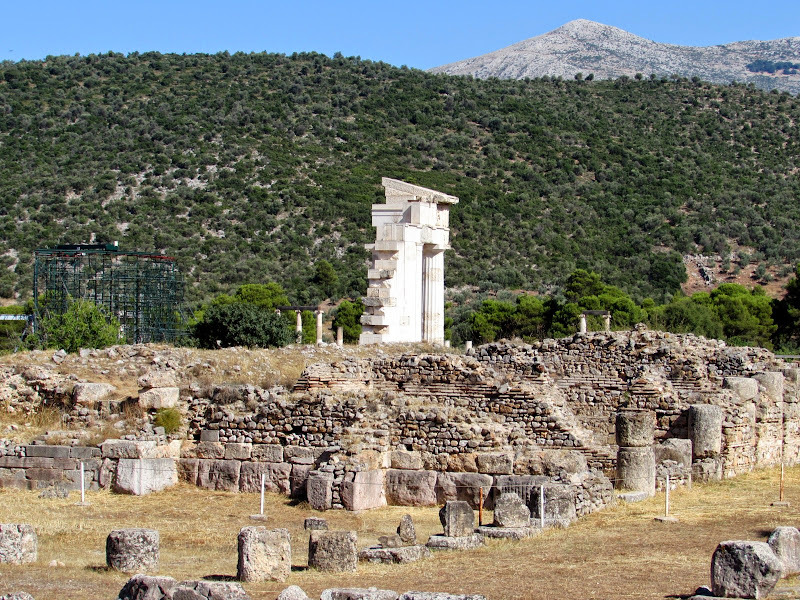 Epidaurus and Mycenae, which are only a few kilometers apart, are considered along with Olympia among the most fascinating archaeological sites in the Peloponnese, thanks to their spectacular secluded mountains and surrounded by green valleys. 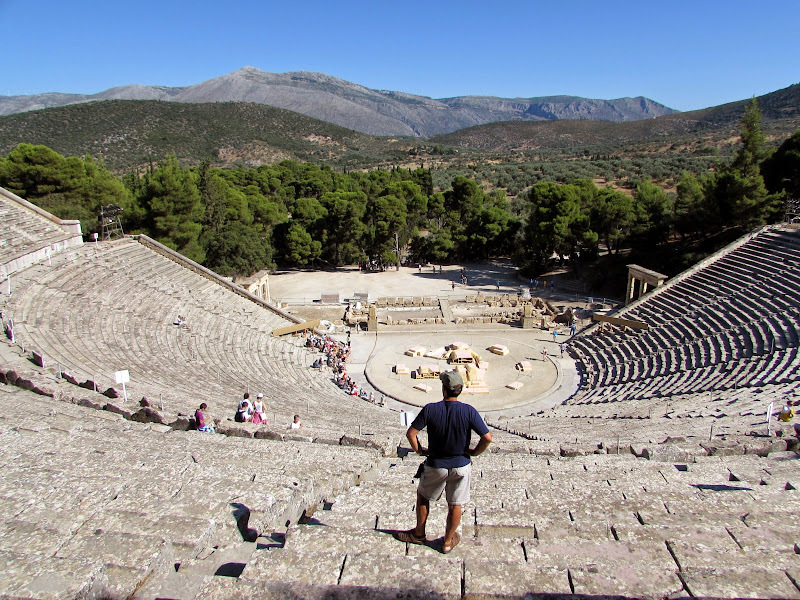 Epidaurus is known primarily for its beautiful theater, the best Greece ancient preserved; theater dates back to the fourth century BC and is especially appreciated for its remarkable acoustics. The guides invite visitors to flip a coin in the proscenium, so that the spectators seated on the highest bleachers can hear the sound. 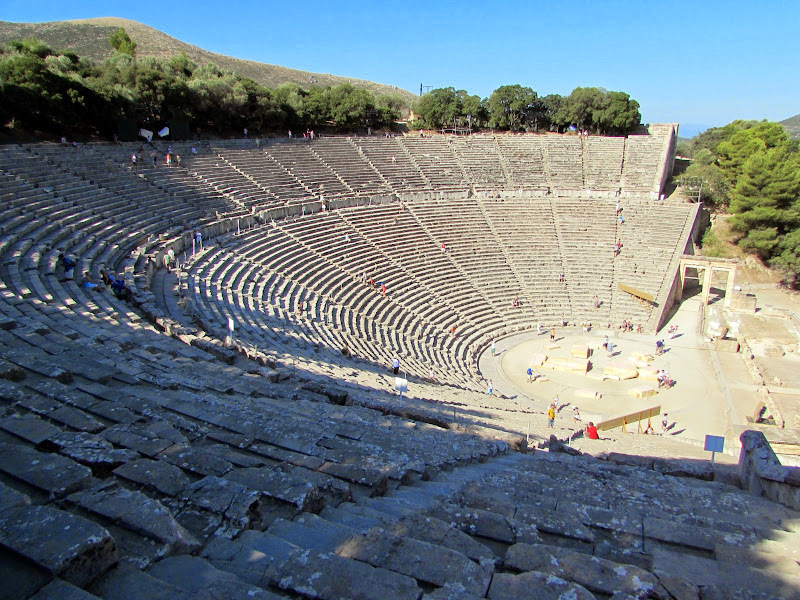 In ancient Epidaurus it was known primarily as a place of healing, with people coming from far away to enjoy the miracle cures of the Asclepius Sanctuary. 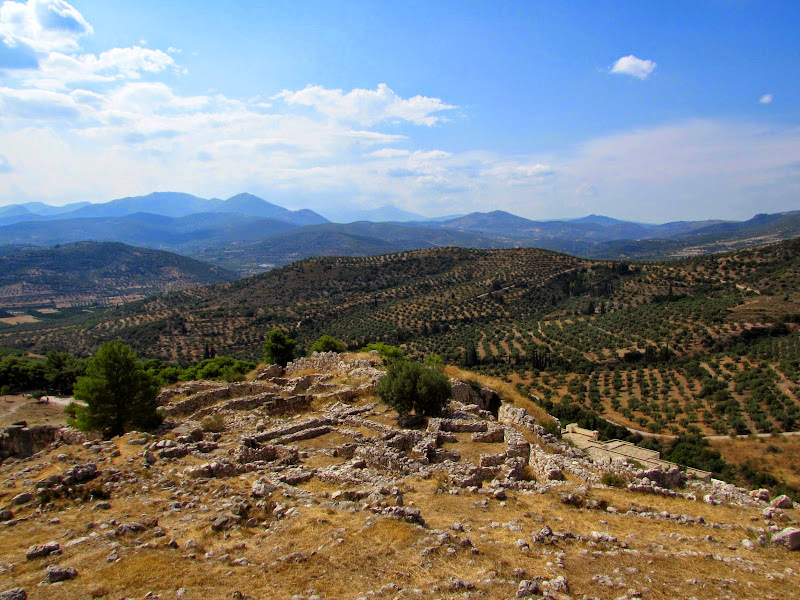 Unfortunately not much is left of the ancient temples and the Sanctuary and are visible only the foundations and the remains of Tholos. Inside the archaeological site you can also visit the small museum where you can admire some bas-reliefs that adorned the tholos, considered the most spectacular of the entire complex. Mycenae, declared a World Heritage Site, gave his name to the important Mycenaean civilization and is called the Agamemnon's citadel. The visit to the site is divided into two parts: the fortified citadel sits atop a hill and surrounded by massive cyclopean walls as high as 13 meters. 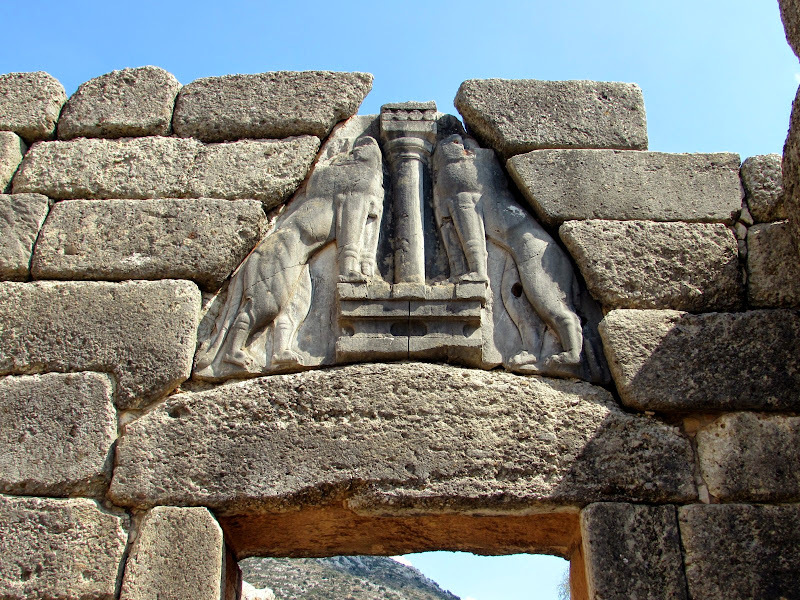 Access to the city was allowed by the Lion Gate, the best preserved part of Mycenae, an imposing passage consisting of huge stone blocks, surmounted by two lionesses. Agamemnon's Palace and the Roomthere Throne are only a few large boulders and you can only fantasize on the richness and beauty of the ancient civilization. However, the surrounding scenery is spectacular and everyone is amazed to think how that had, at one time, to carry up to here these huge blocks of stone. 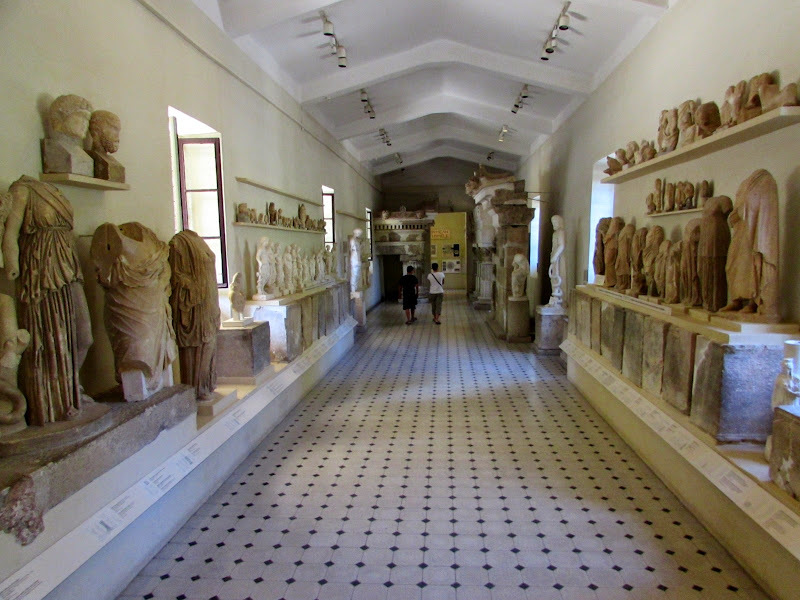 At the foot of the citadel, there is a modern museum where you can admire, pottery, coins and jewelry, even the funeral mask that you thought belonged to Agamemnon . 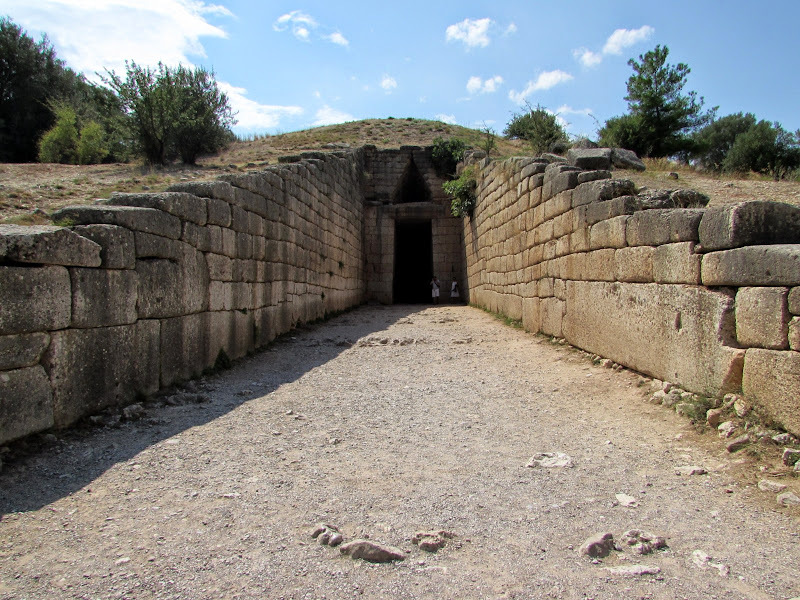 The second part of the visit you can admire the best preserved part of Mycenae, the famous Treasury of Atreus; the imposing tomb dome Agamemnon is constituted by a huge and very high circular room entirely built with blocks of stone, which are becoming smaller up to the top.